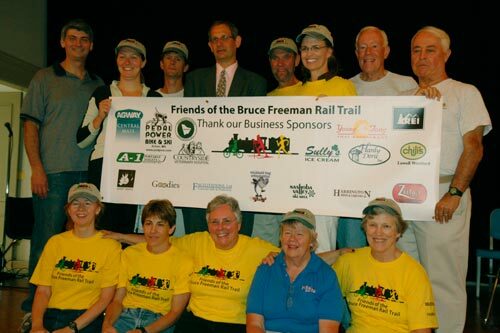 The Bruce Freeman Rail Trail opened this August. 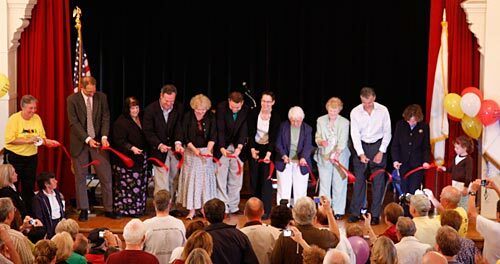 The Ribbon Cutting ceremony and Party was held Saturday, August 29, 2009 at 10 am at Old Town Hall & Town Common, Chelmsford, Massachusetts. 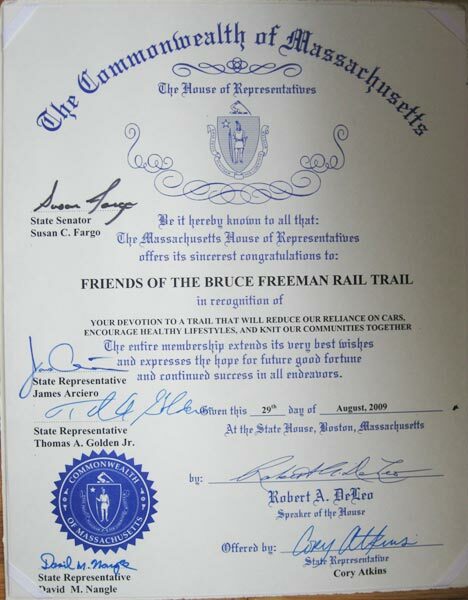 Certificate presented to Friends of the Bruce Freeman Rail Trail from the Massachusetts House of Representatives. 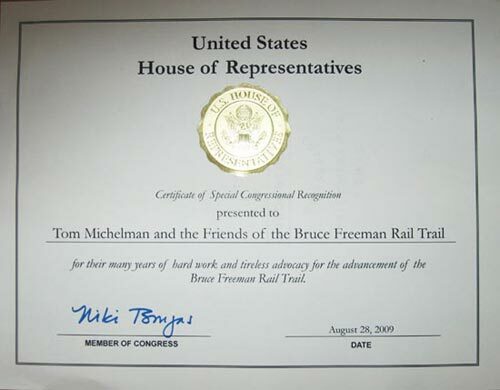 Certificate presented to Friends of the Bruce Freeman Rail Trail from the US House of Representatives.